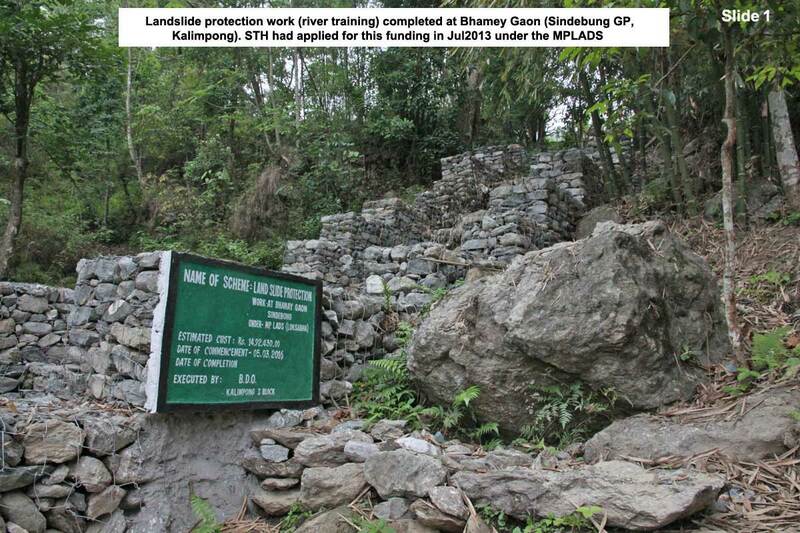 STH had applied for approx Rs 15lakhs from MPLADS for landslide protection work at Bhamey Gaon, a village in Sindebung GP, Kalimpong. The village has been featured in this blog many times. 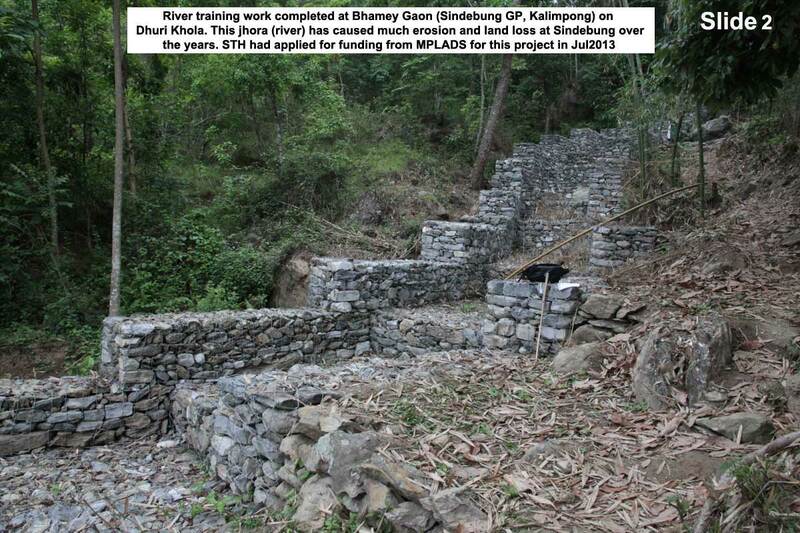 We met Shri Jaswant Singh Hon MP Darjeeling in May 2013 (see here) to seek funds from MPLADS for the work. 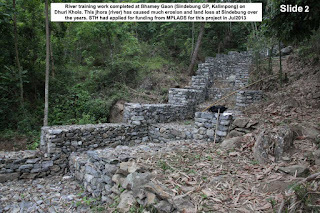 Though the project took time to be implemented, river training work (slides 1 & 2 above) to check erosion by a particularly virulent jhora (mountain stream) has been completed at Bhamey Gaon. The work was executed by local contractors under the supervision of BDO Kalimpong -1. We hope that this work will help mitigate the landslide problem of Sindebung in a small way. 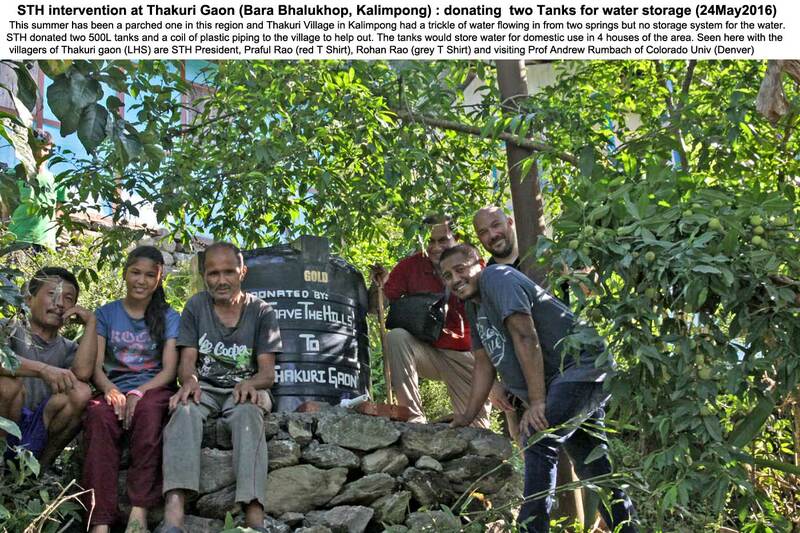 We had promised the villagers two 500L water storage tanks to store water from the trickle that came in from 2 springs. 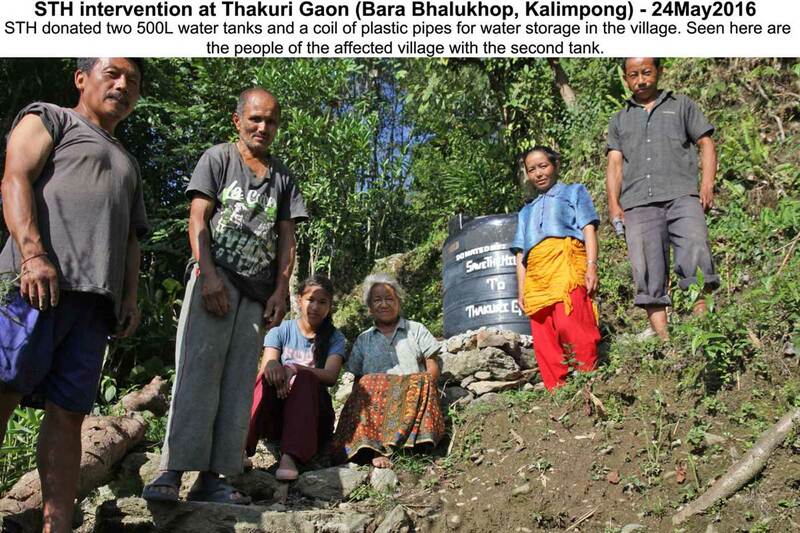 On 24May2016, we delivered the tanks and a coil of plastic pipes to the village, the tanks will benefit 4 households of that village who will have stored water available for domestic use. Our deep thanks to Shri Jaswant Singh, Hon MP of Darjeeling in 2013, who made the MPLADS work possible.